Welcome back Home & Family Counselling who are back for another Jump For Charity day on 13th April 2019. There's still time to sign up NOW! Just fundraise over the target amount of $995 and then take the leap from 20,000ft for FREE. Over the last two years, a dozen brave people have skydived for Home & Family Counselling, and as a result, these skydive heroes have provided 40 free counselling sessions to low-income families and individuals. Happy Chinese New Year! 2019 is the year of the pig, an animal which symbolises wealth. This year is also special because it is 2019 China-New Zealand Year of Tourism. This is an exciting opportunity for China and New Zealand to strengthen economic ties through tourism. It’s an opportunity for New Zealand to showcase what it is that makes Aotearoa a world class destination: our stunning natural landscapes, our range of unique experiences and products, and manaakitanga. We do our best to provide the best possible experience to our Chinese visitors and are really excited about 2019. Welcome to Surrogate Grandparents New Zealand Charitable Trust who are holding a Skydive For Charity Event on 30th March 2019. Join us for an adrenaline pumping, JOYful jumping, skydive experience. Raise valuable funds to help Surrogate Grandparents continue their Intergenerational programmes throughout New Zealand. Whether you are aged 9 or 99 - you can take part! Simply sign up, fundraise over $880 in sponsorship and then you will receive a 13,000ft skydive. 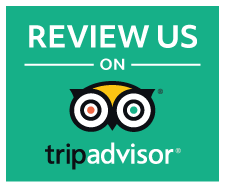 We love reading our reviews and are proud to be #1 out of 182 Tours in Auckland on TripAdvisor. This is thanks to our awesome customers providing recommendations about their experience with us. Big thanks to everyone who takes the time to write reviews for us and provide feedback so that we can continuously improve. 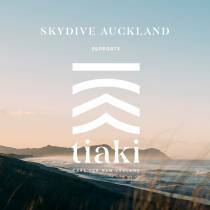 Skydive Auckland supports the Tiaki Promise. The promise is a commitment to our beautiful New Zealand for both tourists and kiwis alike to pledge to, in order to look after our country for now and for future generations. 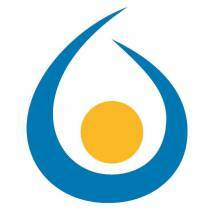 We actively involve ourselves in environmental protection and sustainability practices. We have pledged our commitment to The Tiaki Promise and you can too. All you need to do is head to the website www.tiakinewzealand.com and add your name in the 'Share your promise' section. You can help spread the word over your social media (make sure to use #tiakipromise) and by word of mouth. Together, we can get the message out there. The Tiaki Promise was brought to us by 7 tourism organisations: Air New Zealand, 100% Pure New Zealand, NZ Maori Tourism, Tourism Industry Aotearoa, We are LGNZ, Department of Conservation and THL.